Much like the tablet market as a whole, the iPad Pro had started to feel a little dull. But that changes with the new iPad. The iPad Pro has long been an impressive device (even if you weren’t we weren’t so hot on that whole “what’s a computer” bit), but if we’re being frank, it had gotten kind of boring. The past few years brought new features and new peripherals like the Apple Pencil, but on the whole it felt little different from the device Steve Jobs showed us in 2010. That changes today. 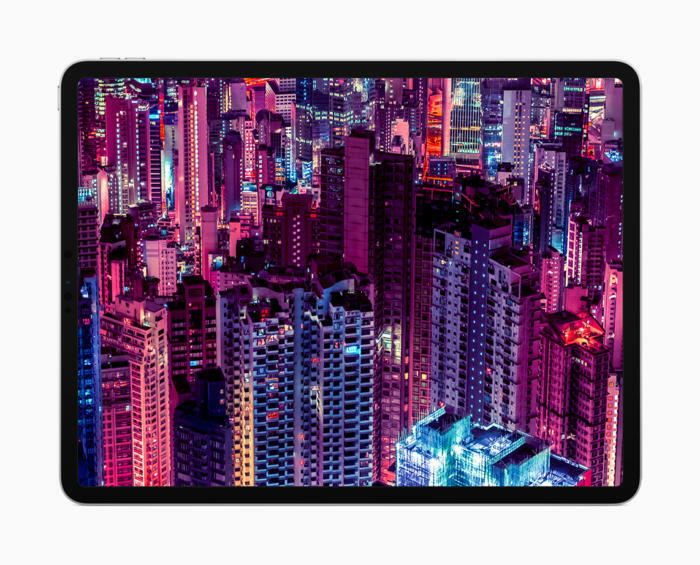 Apple’s latest iPad Pro retains the feel of the world’s most popular tablet while refocusing it to cater to modern needs and introducing its most significant design change to date. Regardless of whether we’re talking about its ports, its display, or even its means of input, it’s better situated to be a desktop replacement than ever before. I think you could make the case that the home button was a good fit for the iPhone, but it always felt awkward on the iPad. You had to hold that button down whenever you wanted to unlock it, which was annoying in both portrait and landscape mode, particularly for a device that was never resting squarely in your hand. It also wasted precious time. The new iPad Pro comes only with Face ID, and Apple’s TrueDepth sensors are hidden discretely in the super-thin bezels surrounding the display. (This design also suggests Apple may be able to do away with the so-called notch by the time next year’s iPhones roll back around.) Not only does it look good, but it also works regardless of how you’re holding the display. Face ID is great, but I'd hate to face that bill. It’s worth noting that we were sure this feature would be coming to the iPad in the wake of iOS 12, which replaced the iPad’s traditional home button-focused actions with the swipe gestures from the iPhone X. The controls were now there—we just needed to wait on the technology. And now it's here. We were wondering if the A12 chip we saw in the iPhone XS would be getting a boost for the iPad Pro, and Apple delivered with the A12X Bionic chip. And it’s a beast, boasting 7-nanometer technology along with an 8-core CPU with 4 performance cores and 4 efficiencies covers. We’re not entirely sure why it’s taken such a popular (and essential) design app like Adobe Photoshop so long to come to the iPad, but it seems safe to say that worries about poor performance on a tablet were in play. Those should no longer be a concern, thanks to the power that Apple is packing in the A12X Bionic processor. Today on stage Apple showed that it’s perfectly possible to use Adobe Photoshop on the iPad Pro, which opens the door for many other resource-demanding apps to make their way to the iPad as well. Fortunately, better performance for apps like Photoshop usually means better performance for games. Nor do these performance gains solely affect productivity. 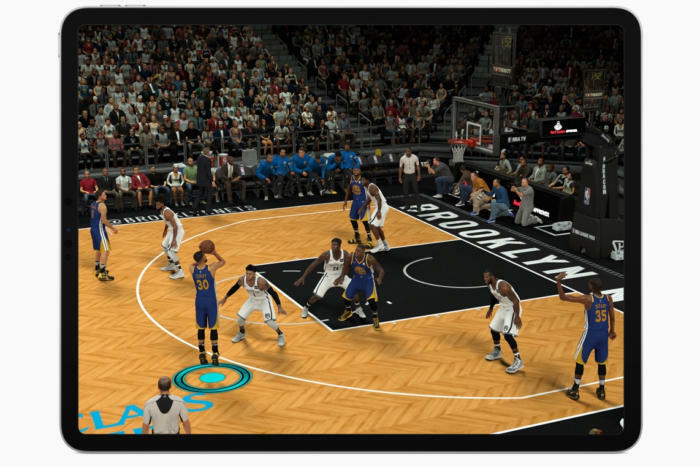 Apple also showed off 2K’s NBA 2K Mobile game on the iPad Pro today, all while claiming that its latest tablet delivers the same kind of gaming performance you’ll find on the Xbox One X console but in a much smaller package. Much as it did with the iPhone, Apple managed to greatly slim the bezels on the iPad Pro, allowing its “Liquid Retina” display to reach from edge to edge and top to bottom. (For that matter, the body itself is slim at only 5.9 mm thick, which Apple says amounts to 25 percent less volume than its predecessor.) Not only does this look sleek and modern, but it makes the iPad Pro more of an ideal canvas for artists and scribblers in that it better resembles a sheet of paper. In fact, Apple expressively showed that it was aiming for this form factor. 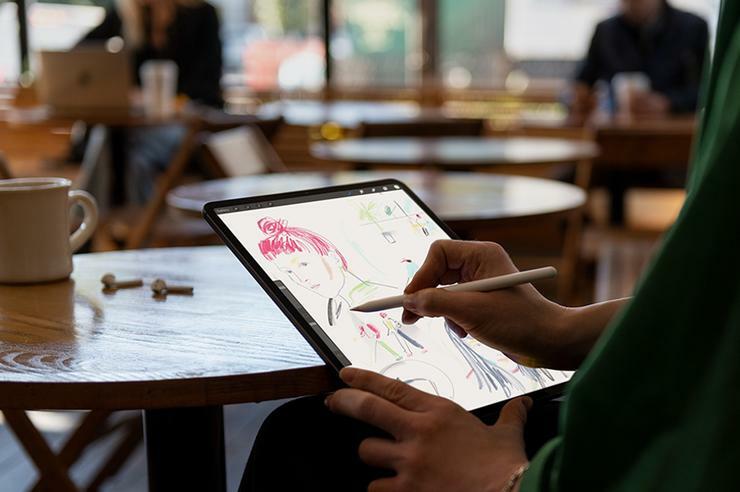 The new iPad Pros comes in two sizes—11-inch and 12.9-inch inch—both of which are sizes that artists and writers are comfortable with own paper. At one point Apple overlaid an image of the iPad Pro with a standard American 8.5-inch by 11-inch sheet of paper and showed that there was virtually no difference in size. Impressive. Ahead of today’s event, we compiled of list of features we wanted to see from the new Apple Pencil. Happily, Apple gave us most of what we wanted, greatly improving an already impressive device. No longer do you have to awkwardly charge the Apple Pencil by inserting it perpindicularly into the iPad; instead, you can simply use a new flatted edge on the Apple Pencil 2 to snap it to the 192 magnets surrounding the iPad itself, which will charge it wirelessly. This is really cool, but you're still in danger of losing it. In one step, Apple eliminated the frustrations of not having a place to stow the Pencil and not being able to charge it without worrying about breaking it (or losing the cap, for the matter). It also now pairs with the iPad immediately, although it’s not clear if this works on older iPads. And that’s not all. Taking cues from the AirPods, the Apple Pencil now lets you switch brush stroke styles simply by tapping twice, and Apple says you’ll be able to customize this action with other apps. It sounds cool, but I’d like to try it out. Right now I’m a little worried about accidentally triggering it too often when I’m nervously tapping my finger while thinking. Unfortunately, it looks as though the new Apple Pencil will only work with the new iPad Pro. Naturally, Apple also boosted the price on the second-generation device, as it now costs US$129 instead of the original model's $99. In Australia, pricing for the new Apple Pencil starts at AU$199. Apple is always going on about how USB-C is the future, but it usually comes off as a mixed message, considering how USB-C usage has been limited largely to the Mac line while iOS devices retain their Lightning cables. The new iPad Pro, though, only has a USB-C port. 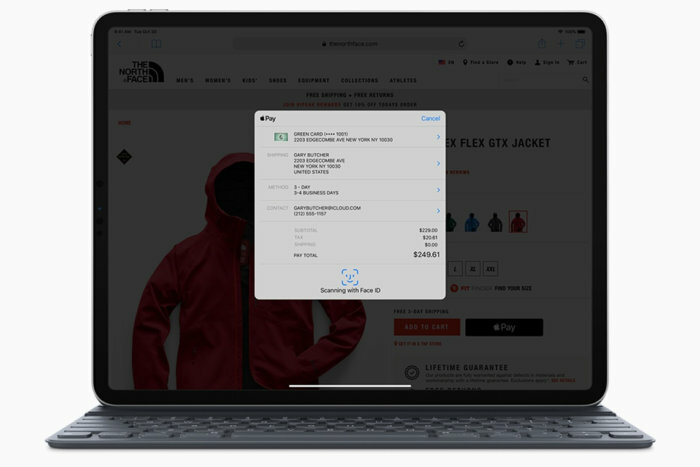 Not only does this means you can use the same charging cable for your iPad that you use with your Mac, but it also means that you can simply hook up more stuff to the tablet itself. 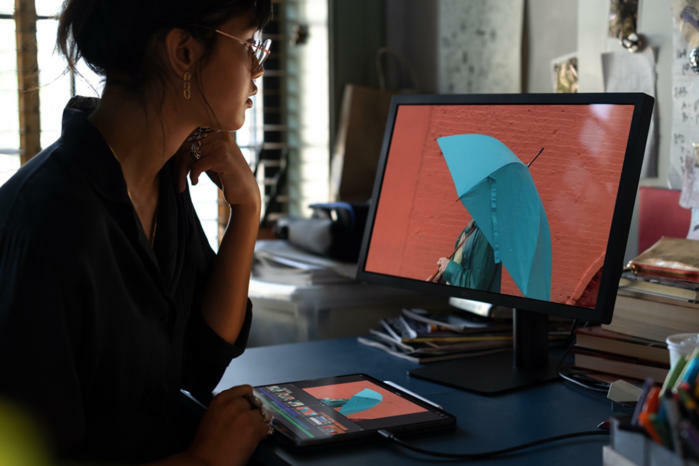 In line with Apple’s emphasis on artistic creation today, the Cupertino company showed that you can hook up an external 5K display to your iPad using USB-C. It also showed that you can hook up multiple other peripherals such as cameras and use your iPad Pro to charge your iPhone. Hello, productivity! At last, the iPad works more like a Wacom tablet. We currently have no idea how much that will drain the battery of the iPad Pro itself, but we’re looking forward to having fewer cables to worry about. Preorders for the new iPad Pro begin today, and the device starts shipping on November 7. The 11-inch model begins at $799 and the 12.9-inch model begins at US$999. Both models are available in silver and space gray, and each comes in 64GB, 256GB, and 512GB storage configurations. In Australia, pricing for the new 11-inch iPad Pro begins at AU$1229 (Wi-Fi only) and AU$1449 (for Wi-Fi + Cellular). 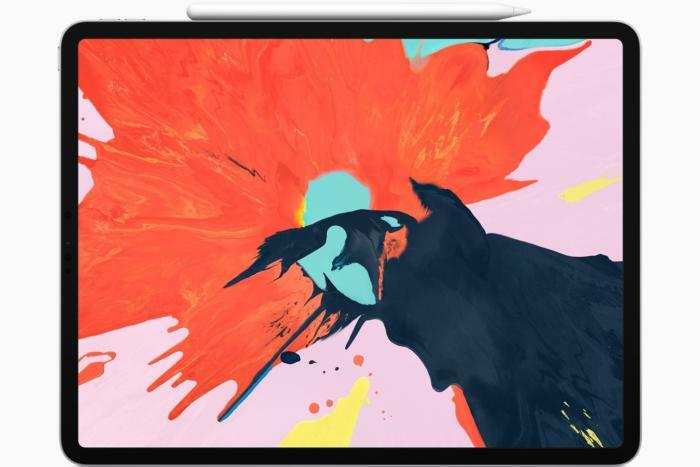 The 12.9-inch iPad Pro starts at RRP AU$1529 (Wi-Fi only) and AU$1749 (for Wi-Fi + Cellular).